The purposes for which the corporation is organized are: exclusively educational and are to promote high professional standards in guidance and to maintain maximum communication pertaining to postsecondary admissions at primary and secondary and postsecondary levels in order to serve the interests of students, parents and primary, secondary and postsecondary institutions and promote adherence to the Statement of Principles of Good Practice of the National Association for College Admission Counseling. Criteria and qualifications for each category of voting and non-voting members shall be set forth in these by-laws and in the policies and procedures approved by the Executive Board. Persons employed by voting member institutions or other voting member organizations whose professional activities consist primarily of counseling, admission, or financial aid services. Persons whose primary recruitment territory is in Illinois and provide counseling, admission or financial aid services to students and/or their parents and who are employed by an out-of-state institution or organization as approved by the Illinois Association for College Admission Counseling. Regional representatives of two or four-year colleges, universities, or postsecondary institutions located outside of Illinois whose primary recruitment territory is in Illinois. Independent educational consultants or counselors who are self-employed or employed by a company providing counseling, admission, or financial aid services, where these individuals perform the majority of their professional duties in Illinois and who meet the IACAC Criteria for Independent Counselors. Any individual who was actively engaged in providing counseling, admission or financial aid services at one or more National Association for College Admission Counseling (NACAC) or ACAC member institutions or organizations who is deemed retired under the retirement program of an institution formerly employing said individual; provided in each case, that such individual is not otherwise employed providing counseling, admission or financial aid services. Any two- or four-year college or university or other postsecondary educational institution which is not-for-profit, which is accredited, as approved by the Executive Board, provided that such institution maintains an educational facility in the State of Illinois. Any not-for-profit primary or secondary schools and districts in the State of Illinois as approved by the Executive Board. Any not-for-profit college or university system in the State of Illinois. Any organization, agency, or institution which is not-for-profit, maintains an educational facility in the State of Illinois, and provides postsecondary counseling and financial aid services at the state or local level. Any organization, agency, or institution, which is not-for-profit, maintains an educational facility in the State of Illinois, and provides postsecondary counseling and financial aid services at a multi-state, national or international level. Any individual who provides teaching and/or training to professionals who work with students in the transition to postsecondary education, and who is currently employed in a postsecondary, graduate, or professional program at an accredited two- or four-year college, university, or other not-for-profit postsecondary educational institution, and who, in the opinion of the Executive Board, is in accord with the purposes of IACAC and does not qualify for membership under Section 1 of Article 1. Two- and four-year colleges, universities, and other not-for-profit postsecondary and secondary educational institutions which, in the opinion of the Executive Board, are in accordance with the purposes of IACAC and do not qualify for membership under Section 1 of this article. Any not-for-profit two- or four-year college or university, or primary or secondary school in the State of Illinois, which is degree-granting or which awards a diploma, which is newly established or has not attained accreditation, which meets the professional criteria that shall be established by the Executive Board from time to time, and which is in agreement with the purposes of IACAC. Any individual or for-profit organization, business, agency, or institution possessing interests which, in the opinion of the Executive Board, are in accord with the purposes of IACAC and that does not qualify for membership under Section 1. of this article. Nonvoting members may receive appropriate services as designated by the Executive Board. To obtain membership a qualifying individual, organization, agency or institution shall file a completed membership application as directed by the Association, along with applicable dues in accordance with these By-Laws. All current members shall be included in the membership list and must complete a membership application. Membership in IACAC shall be terminated if a member fails to pay annual dues, fails to comply with the Statement of Principles of Good Practice of NACAC or the Statement of IACAC Practices and Courtesies, or fails to satisfy membership eligibility requirements. There shall be an annual meeting of the membership of IACAC held in the spring each year at which Officers, Directors and Delegates to the NACAC Assembly shall be elected. The President is empowered to call other general membership meetings, which must be announced in writing to each voting member at least two weeks prior to the date of the meeting. The annual meeting in any event shall be held before June 1 of each year. Except as otherwise provided in Section 4 of Article IV of these By-Laws, each member shall have one vote on each matter presented to the Membership for its consideration. The Executive Board of IACAC shall be responsible for the management and direction of the affairs of IACAC and shall control the expenditure of funds by IACAC in accordance with Section 6 of Article VI. The Executive Board shall consist of the Cabinet and the Council, comprised of IACAC Directors and Delegates to the NACAC Assembly. Executive Board members shall assume their IACAC duties on June 1 of the year in which elected. Delegates to the NACAC Assembly, in compliance with the NACAC By-Laws, shall assume their NACAC duties on July 1 of the year in which elected. Any voting member is eligible to serve as a member of the Executive Board. In addition any such member shall, prior to election as a Delegate to the NACAC Assembly, be the principal representative of a voting NACAC member institution or a voting individual member of NACAC. Only one person employed by an eligible member organization, agency or institution shall serve as a Delegate to the NACAC Assembly at a time. The Cabinet of IACAC shall comprise President, President-Elect, Most Recent Active Past President, Secretary, Treasurer, Treasurer-Elect and Most Recent Active Past Treasurer. Each cabinet member shall be elected from the voting membership of IACAC. The Secretary shall serve a term of two years. The President-Elect shall automatically succeed to the office of the President, the President shall automatically succeed to the office of the Most Recent Active Past President upon the completion of their respective terms. The Treasurer-Elect shall automatically succeed to the office of Treasurer, the Treasurer shall automatically succeed to the office of the Most Recent Active Past Treasurer upon the completion of their respective terms. The Executive Assistant shall serve as a non-voting member of the cabinet. Section 3. Council Team Directors. There shall be four Team Directors of IACAC. All four of the Team Directors will be elected from the voting membership of IACAC, two engaged in postsecondary educational counseling and two engaged in secondary school counseling whenever possible. Team Directors will serve two-year terms which shall be staggered to the extent possible. Section 4. NACAC Assembly Delegates. Each Delegate of IACAC elected to the NACAC Assembly shall serve on the Executive Board. The number of Delegates to be elected shall be determined by the total eligible IACAC members belonging to NACAC in accordance with the NACAC By-Laws. Each elected Delegate shall serve a term of three years. To the extent reasonably feasible the terms of Delegates shall be staggered. Whenever possible, one-half of the Delegates elected shall be employed by voting member secondary institutions and voting member organizations, agencies and institutions which provide postsecondary counseling, admissions and financial aid services, and one-half of the Delegates elected shall be employed by voting member postsecondary educational institutions. Also, every effort should be made to include traditionally under-represented members who are eligible for candidacy. The President of IACAC shall appoint Alternate Delegates to represent IACAC in the NACAC Assembly in the event an elected Delegate is unable to serve. Alternate Delegates must meet the Delegate eligibility requirements to serve. Delegates shall serve no more than two consecutive terms. 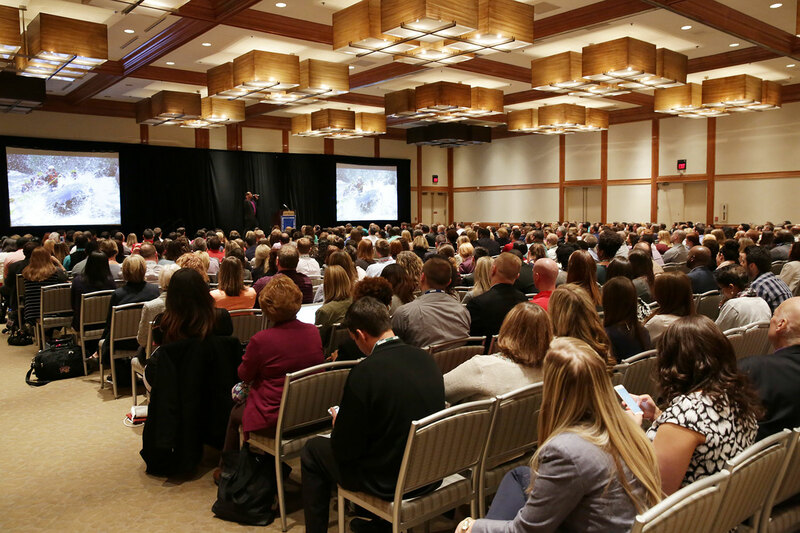 Delegates are expected to attend all general meetings of the NACAC Assembly and of the Executive Board of IACAC. One of the Delegates shall be appointed annually by the President of IACAC as Chief Delegate. The President and Most Recent Active Past President of IACAC, if eligible, for so long as they hold office, shall serve as Delegates to the NACAC Assembly. The President-Elect shall serve as the Alternate Delegate to the Assembly for the President or Most Recent Active Past President. The right of the President, President-Elect, Most Recent Active Past President and elected NACAC Assembly Delegates to vote in the Assembly shall be governed by the NACAC By-Laws. The President or designee shall notify the Chief Executive Officer of NACAC of the names and terms of office of its elected and appointed Delegates and the name of its President and President-Elect immediately following their election or appointment. If the number of Delegates increases, the President shall have the power to appoint an eligible member to serve until the next election of delegates occurs. If the number of Delegates decreases, the President shall determine which delegate shall relinquish his or her seat in the NACAC Assembly. Section 5. Loss of Eligibility. In order to remain as an Officer or Director of IACAC an incumbent must continue to provide post-secondary counseling, admission or financial aid services. If an incumbent’s qualifying employment changes, he or she could continue until the one-hundred-eightieth day following such incumbent’s qualifying employment or the date on which such incumbent accepts non-qualifying employment, whichever occurs first. In order to remain a Delegate to the NACAC assembly, an incumbent must continue to provide post-secondary counseling, admission or financial aid services. 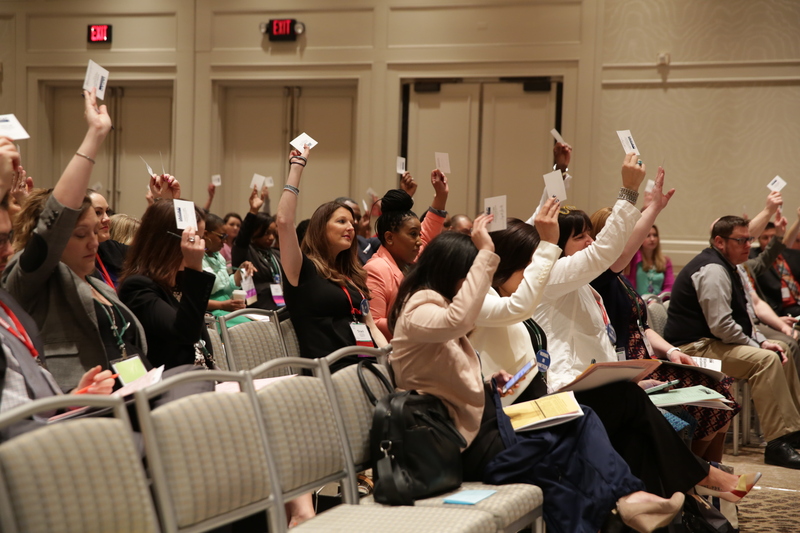 A Delegate must be a NACAC voting member by July 15 immediately preceding the next annual meeting of the assembly through their terms of service as a delegate. If a Delegate’s qualifying employment status were to change, he or she could continue as a Delegate until the sixtieth day following such incumbent’s qualifying employment or the date on which such incumbent accepts non-qualifying employment, whichever occurs first. The Executive Board shall hold a minimum of four meetings per year. The President is empowered to call additional Executive Board meetings and shall call such a meeting at the request of any other four members of the Executive Board. Each member of the Executive Board shall have one vote on each matter presented for its consideration. Each member of the Executive Board shall receive at least one week’s prior written notice of all Executive Board Meetings, which notice shall list the matters to be considered at such meeting. The President shall preside at the annual membership meeting, all other general membership meetings and all Executive Board meetings. The President shall have overall supervision of the plans for any special general membership meeting. The President, or an Executive Board Member appointed by the President, shall be the official representative of IACAC at meetings of other organizations or on such occasions where representation has been requested or is deemed desirable. The President shall perform such other duties as are provided for in these By-Laws or as assigned by the Executive Board or the general membership and shall submit an annual report to the general membership at the Annual Membership Meeting. The President, if eligible, shall serve as a delegate to the NACAC Assembly in accordance with the NACAC By-Laws. The President-Elect shall assume the duties of the President in the absence of the President and shall act as chairperson of the Conference Committee. Most Recent Active Past President. The Most Recent Active Past President shall act as chairperson of the Nominating Committee and of the Credentials Committee, and shall serve as a Delegate to the NACAC Assembly, if eligible. The Secretary shall record the minutes of the annual membership meeting, all other general membership meetings, the Executive Board meetings and the Finance Committee meetings. The Secretary shall be responsible for correspondence as referred by the President. The Secretary will serve as a member of the Media Team. The Treasurer shall be responsible for maintaining the official financial records of IACAC, performing other financial transactions, and monitoring fund development. The Treasurer shall be chairperson of the Finance Committee and shall submit an annual report to the general membership at the Annual Membership Meeting. The Treasurer-Elect shall be the chairperson of the Professional Development Grants Committee and will serve on the Finance Committee and the Illinois College Fair Committee. The Most Recent Active Past Treasurer shall serve on the Professional Development Grants Committee and the Finance Committee. Each officer, other than the President, shall perform such other duties as are provided for in these By-Laws or as assigned by the President or the Executive Board. No person shall serve on the Executive Board of both NACAC and IACAC simultaneously, unless the IACAC President is elected to serve as NACAC Coordinator of the Presidents’ Council. Section 2. Duties of Council Team Directors. Directors shall assume the responsibilities assigned to them by the President or the Executive Board. Among these responsibilities shall be co-chairing one of the four Council teams as defined in the IACAC by-laws. Directors shall oversee the activities of the standing committees that report to their assigned team: Member Relations, Student and Family Outreach, Professional Development or Media. Section 3. Duties of the Delegates. 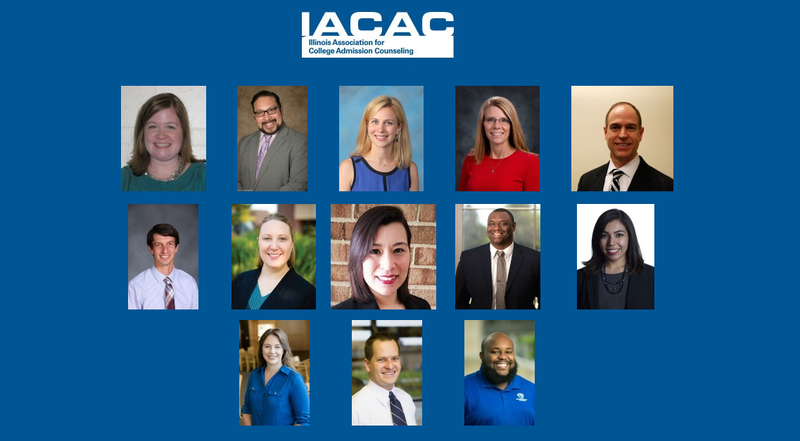 In addition to representing IACAC in the NACAC Assembly, each Delegate shall co-chair one of the four Council teams; Member Relations, Student and Family Outreach, Professional Development or Media. Additionally, Delegates shall assume the responsibilities assigned to them by the President or the Executive Board. A vacancy shall be deemed to exist on the Executive Board when a member of the Executive Board is no longer able to serve for any reason or no longer meets the eligibility requirements for the position in which he or she serves as established by these By-Laws. If a vacancy occurs in the office of President, it shall be filled by the President-elect who shall subsequently serve the normal term as President. If a vacancy occurs in the office of President-elect, a President-elect pro tem shall be appointed by the President to serve until the next annual membership meeting. If a vacancy occurs in the office of Past President, a Past President pro tem, selected from among former IACAC Presidents, shall be appointed by the President to serve until the next Annual Membership Meeting. If a vacancy occurs on the Executive Board, other than those described in Sections B 1–3 of Article III, the President shall have the power to appoint, subject to the approval of the Executive Board, a voting member who meets the eligibility requirements set forth in these By-Laws to fill the vacancy until the next annual membership meeting, at which time a member will be elected to complete the vacant term if such term does not expire at such meeting. If a vacancy exists among the Delegates to the NACAC Assembly, an Alternate Delegate shall be appointed by the President, or in the absence of the President, the President-Elect, to fill such vacancy until the next Annual Membership Meeting, at which time a member will be elected to complete the vacant term if such term does not expire at such meeting. ARTICLE IV. Nominations and Elections. This Committee shall include the two Most Recent Active Past Presidents. The chairperson shall be the Most Recent Active Past President who shall select at least four additional voting members to serve on the Committee, at least two engaged in postsecondary counseling or the admission of students and two engaged in secondary school counseling. Section 2. Selection of Candidates. The Nominating Committee shall nominate a candidate or candidates for each vacancy on the Executive Board to be filled at any annual membership meeting and submit a written report of the nominees to the Executive Board at least six weeks prior to the annual membership meeting and to the general membership at least two weeks prior to the Annual Membership Meeting. Section 3. Nominations from the floor. Nominations of additional candidates may be made by a motion from the floor at the Annual Membership Meeting, provided the nominator and seconder are voting members of IACAC and have secured the consent of the nominee prior to the time the nomination is made. Section 4. Voting and Election. Two separate written ballots shall be cast at each annual membership meeting. One ballot shall consist of candidates to fill the offices of President-Elect, Secretary (alternate years), Treasurer –Elect and the Directorships, the terms of which expire at such meeting and shall be distributed to the voting membership. The other ballot shall consist of the candidates for Delegates to the NACAC Assembly to be elected at such meeting and shall be distributed only to NACAC voting members. At each Annual Membership Meeting the ballots shall be counted by tellers appointed by the Chairperson of the Credentials Committee. The candidates securing the highest number of votes cast for each office shall be declared elected and the Most Recent Active Past President shall then publicly announce the names of the newly elected members of the Executive Board to the general membership. In the case of a tie-vote between candidates for specific position(s) on the Executive Board, voting members will revote for said position(s) during the Annual Membership Meeting. Voting members who cannot attend the Annual Membership Meeting, and who desire the opportunity to vote for the election of members of the Executive Board and on issues to be presented at the Annual Membership Meeting, may request a proxy. A proxy request form shall be published in the issue of the IACAC newsletter which announces the candidates nominated by the Nominating Committee. Upon receipt of each proxy request, the Most Recent Active Past President shall ascertain the requesting member’s eligibility and, if appropriate, mail or deliver a proxy to such member. Proxies must be completed and returned to the Most Recent Active Past President at least one week prior to the convening of the IACAC annual membership meeting. Proxies so requested and distributed shall appoint the Most Recent Active Past President and the Current President as proxies. Each proxy shall indicate for each office the nominee of the Nominating Committee for which the proxies shall be voted as well as their preference on the issues presented. ARTICLE V. Council Teams and Committees. The Admission Practices Committee shall review annually the Statement of Principles of Good Practice of NACAC, the NACAC Monitoring Procedures for the Statement of Principles of Good Practice, IACAC Monitoring Procedures, and the IACAC Statement of Practices and Courtesies, and shall formulate and recommend changes to the IACAC Executive Board which shall determine whether to submit such recommendations to the NACAC Executive Board. This committee shall also be responsible for dealing with alleged infractions as defined by NACAC guidelines. Membership should have some carry-over from year to year. College Awareness and Preparation Committee (CAP). The College Awareness and Preparation Committee shall be responsible for planning, coordinating, implementing, and staffing association-sponsored activities to offer the expertise of IACAC to individuals throughout the State of Illinois who are seeking counseling and information regarding postsecondary admission and financial aid. The Conference Committee shall have overall supervision of the plans for the execution of the Annual Conference and annual membership meeting. The chairperson shall be the President-Elect. The President will chair the Annual Membership Meeting. The Credentials Committee shall determine eligibility as outlined in these By-Laws for membership in IACAC; make recommendations to the Executive Board regarding criteria for membership in IACAC; investigate membership eligibility questions referred to it by the Executive Board; and review these By-Laws and recommend revisions when deemed appropriate, including revisions required to maintain their consistency with the governing documents of NACAC. The chairperson shall be the Most Recent Active Past President. The District Seminars Committee shall be responsible for creating, coordinating, and implementing IACAC District Seminars in Region 1 and Region 2. These seminars will address guidance and admission concerns for high schools, community colleges, four-year colleges and universities. Membership should have some carry-over from year to year. The Finance Committee shall make budget estimates, recommend to the Executive Board investment and audit policies, administer grant programs, and supervise all other IACAC financial matters. The Finance Committee shall be responsible for the creation of and selection of candidates for all salaried and stipend positions. Based on their findings, the Finance Committee shall make recommendations to the Executive Board for approval. The Finance Committee shall meet a minimum of twice a year and be responsible for reviewing the financial statements of IACAC. This shall include the monthly financial reports and the year-end financial statement. The Treasurer shall be the chairperson and the President, Most Recent Active Past President, President-Elect, Treasurer-Elect and Most Recent Active Past Treasurer shall be members; the Executive Assistant shall be a non-voting member. Inclusion, Access and Success Committee. The Inclusion, Access and Success Committee shall develop and recommend goals which promote sensitivity to human differences and guide the expansion of equal access for all students to postsecondary educational opportunities. The committee shall plan and recommend strategies for implementing a multicultural agenda for the association. The Media Communications Committee shall be responsible for increasing the visibility of IACAC and promoting its college transition programs and services through media and marketing strategies. This committee shall also be responsible for promoting use of technology within the association. The Mentorship Committee shall function as an outreach of IACAC to provide new and veteran members with an opportunity to form partnerships for professional development. Membership should have some carry-over from year to year. The Middle Management Institute Committee shall be responsible for planning, coordinating, implementing and staffing summer middle management training for post-secondary college admission professionals with three or more years of experience. 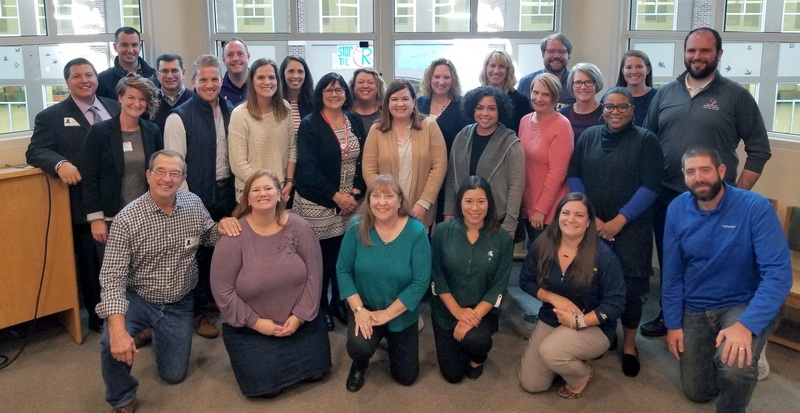 The National College Fair Committee shall be responsible for assisting the National Association for College Admission Counseling (NACAC) in planning, coordinating, implementing and staffing the NACAC College Fair(s) in Illinois. The membership of this committee shall be diverse and embrace secondary, postsecondary and community-based organizations. The Nominating Committee shall nominate a candidate or candidates for each office to be voted on by the membership at each Annual Membership Meeting. The membership of this committee shall be as provided in Section 1 of Article IV. This committee shall be chaired by the Most Recent Active Past President. 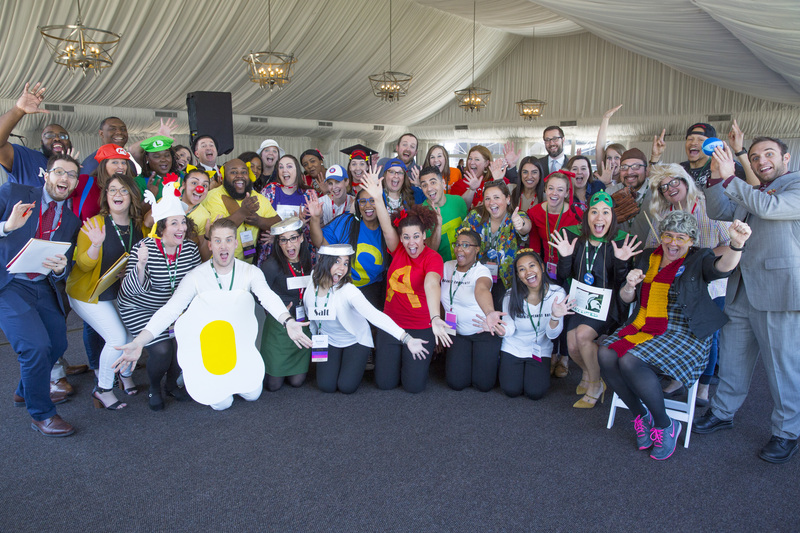 The Professional Development Grants Committee shall be responsible for promoting, reviewing and awarding grants for professional development opportunities within IACAC and NACAC. This committee shall be chaired by the Treasurer. The Professional Liaison Committee shall be responsible for communicating and coordinating IACAC services with like organizations, who offer expertise to individuals throughout the State of Illinois seeking counseling and information regarding postsecondary admission and financial aid. Examples of such organizations would be ISAC, ISCA, CPS, etc. The Scholarship Committee shall work to solicit, evaluate and select high-achieving students for an annual scholarship. We will promote this scholarship opportunity through IACAC member high schools with the goal of representing the diversity of Illinois students. The Summer Tours Committee shall be responsible for planning, coordinating and implementing tours to colleges for counselors involved in the college transition process. The Transfer Advisory Committee shall ensure that the voice and interest of transfer students and professionals working with transfer students are brought forward and heard throughout all levels of IACAC. This committee provides transfer specific professional development opportunities that serve transfer students. Membership should have some carry-over from year to year. The Executive Board may assign other duties to any of the standing committees. The authority granted standing committees by these By-Laws and the Executive Board shall not be exercised in a manner which is inconsistent with Executive Board actions previously taken. Any Committee deemed necessary to implement the activities and purposes of IACAC may be appointed as an ad-hoc committee by the President, with approval of the Executive Board. Except as otherwise specifically provided in these By-Laws, the President shall appoint committee chairpersons and such appointments shall be subject to the approval of the Executive Board. Each committee chairperson, except as otherwise specifically provided in these By-Laws, shall appoint the members of his or her committee from the membership of IACAC. The fiscal year of IACAC shall be from June 1 to May 31. Annual dues shall be determined by the Executive Board with the approval of the membership. Dues may vary between and within different categories of members. Participation in IACAC is dependent upon the payment of dues. Dues shall cover the membership year. Dues may be prorated by action of the Executive Board. Section 3. Investments and Indebtedness. Monies in excess of the current year’s expenses may be invested by the Treasurer in the name of IACAC with the advice and consent of the Executive Board. Any expenditure not provided for within the budget shall be approved by the Executive Board. The outgoing Treasurer shall have the books of IACAC approved by the incoming President and incoming Treasurer after the Annual Membership Meeting but no later than July 31st. There shall also be an annual accountant’s review of IACAC’s financial statements by a certified public accountant. Upon dissolution of the corporation, the Board of Directors shall, after paying or making provisions for the payment of all the liabilities of the corporation, dispose of all the assets of the corporation exclusively for the purposes of the corporation in such manner, or to such organization or organizations organized and operated exclusively for charitable, educational, religious, or scientific purposes as shall at the time qualify as an exempt organization or organizations under section 501(c)(3) of the Internal Revenue Code of 1986 (or the corresponding provision of any future United States Internal Revenue Law), as the Board of Directors shall determine. Any such assets not so disposed of shall be disposed of by the Court of Common Pleas of the county in which the principal office of the corporation is then located, exclusively for such purposes or to such organization or organizations, as said court shall determine, which are organized exclusively for such purposes. The Executive Board shall submit a budget to the membership for approval at the annual membership meeting. The budget shall include an amount for contingencies which amount shall not be in excess of 15% of the total amount included in the budget. The Executive Board shall be authorized to transfer funds within the budget among similar line items and shall have sole discretion over the disbursement of the contingency amount. One-tenth of the members of IACAC entitled to vote shall constitute a quorum of any annual or general membership meeting when such meeting is called in accordance with these By-Laws. Two-thirds of the members of the Executive Board shall constitute a quorum for the transaction of business. ARTICLE VIII. Rules of Order. The latest edition of Robert’s Rules of Order shall govern all procedures for IACAC not covered by the Illinois General Not-For-Profit Corporation Act and these By-Laws. The association is also governed by the IACAC Leadership Manual and the IACAC Fiscal Policy. Each person who is or was a director, officer or employee of IACAC, and each person who serves or served at the request of IACAC as a director or officer of another corporation, shall be indemnified by IACAC in accordance with, and to the fullest extent authorized by, the Illinois General Not-For-Profit Corporation Act as it may be in effect from time to time. Such right of indemnification shall not be deemed exclusive of any other right to which those indemnified may be entitled or other indemnification which IACAC may provide. ARTICLE X. Code of Ethics. IACAC subscribes to the Statement of Principles of Good Practice of NACAC. These By-Laws may be amended at the annual or any general membership meeting of IACAC by a vote of three-fourths of the voting members attending, provided that notice of any proposed amendment has been sent to each voting member at least two weeks prior to the date of said meeting. The Executive Assistant shall be employed by the Executive Board to conduct the business of IACAC and to administer its headquarters office in accordance with policies and procedures established by the Executive Board and the general membership. The Executive Assistant shall serve as an ex-officio (without vote) member of the Executive Board and of selected standing committees as determined by the Executive Board. The Executive Assistant shall maintain the historical records of IACAC.